Rock & Roll with the Six-Banded Armadillo! 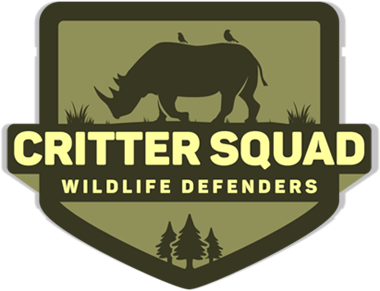 Critter Squad Wildlife Defenders are on a mission to make learning and protecting wildlife an ingrained task of all humans; children and adults alike! Our goal is to bring the joy of wildlife right into your home through hands-on and digital educational outreach, while doing what we can to help support local wildlife! Join the C.S wildlife defenders on a global mission to save the planet! United by one passion, our unique team strives to help promote wildlife conservation and making the world a better place for all flora and fauna species.Click here to learn more about the amazing Critter Squad Wildlife Defender educators. Click here to see what other defenders are saying about the Critter Squad Wildlife Defenders! Sugar Gliders are some of the most unique, and most adorable, animals on the planet! Learn all about sugar gliders in our latest video! Remember, you can find all our awesome videos right here on our Youtube Channel!